The label Waitz Design has sprouted from the creative brain of fashion designer J.W. Waitz who has earned his spurs at various fashion houses such as Karl Lagerfeld and Eva Devine. The gaze of J.W. Waitz is focused on the world and especially on specific cultures that translate their existence into their own, often colorful, view of the world. The Waitz Design collection stands out due to the use of original color combinations and the addition of natural decorations. 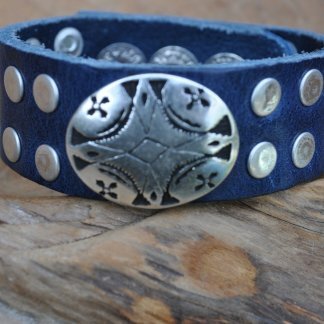 All materials are pure nature, high quality leather, silver studs, colorful stones. 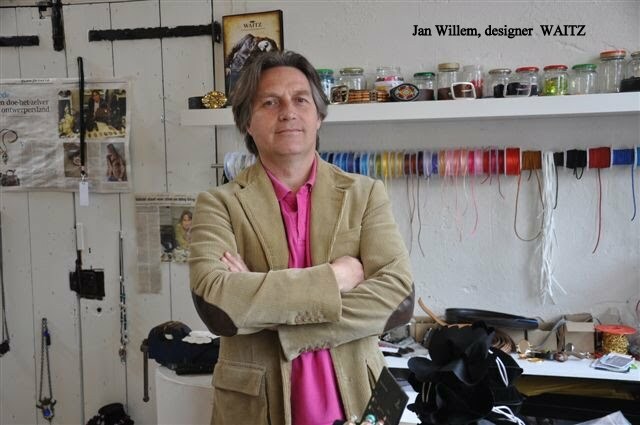 Waitz Design currently focuses on the creation of belts and bracelets. How would you best describe the style of Waitz Design? The pure materials, the colorful designs and the use of various style accessories are most similar to the Bohemian hippie look where the unconventional and free feeling of the 60s dominates. The washed and waxed leather adds an extra element to that feeling. 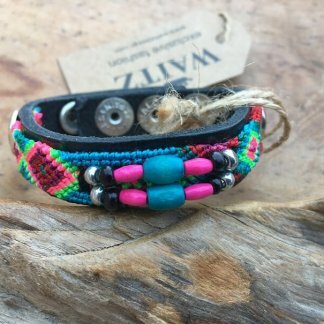 All bracelets are adjustable in 3 positions so that the bracelet fits every wrist. The look of each bracelet is unique, sometimes more cheerful than tough. Waitz Design designs for both men and women and they can also often be worn together. 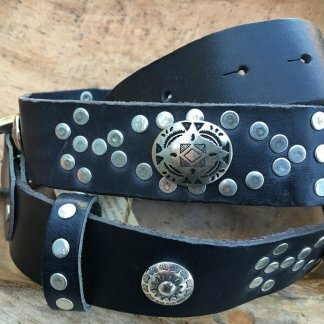 Tough belts with fabric, leather and various studs and beads. Each belt is a unique design piece in itself. The belts are available in the most common sizes. Like all Waitz Design products, these belts are also made entirely by hand. 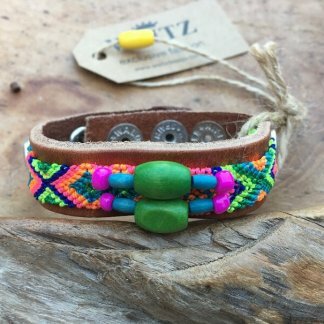 All materials used in the manufacture of bracelets and belts are Fair Trade materials. All collections are made in our own studio in the Netherlands.